In general, refrigerators with top-mounted freezers use less energy than refrigerators with either side-mounted or bottom-mounted freezers. An ENERGY STAR certified top-freezer refrigerator uses about 360 kWh or $45 a year to run, on average. An ENERGY STAR certified bottom freezer refrigerator uses about 560 kWh or $70 a year to run, on average. An ENERGY STAR certified side-by-side refrigerator uses about 630 kWh or about $75 a year to run, on average. A top-freezer refrigerator that has earned the ENERGY STAR uses less energy than a 60-watt light bulb. However, there is a large degree of variation depending on the size of a given refrigerator/freezer, its defrost type, and whether the model has through-the-door ice. Efficiency percentages (% Less Energy) are calculated for refrigerators by comparing a specific ENERGY STAR certified model to the federal standards for the maximum energy consumption established by the National Appliance Energy Conservation Acts (NAECA). ENERGY STAR certified refrigerators must use 10% less energy than the NAECA maximum. You can compare the annual energy usage of each ENERGY STAR certified refrigerator using our Product Finder. 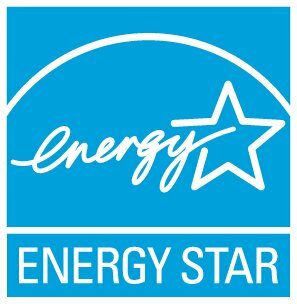 More information on ENERGY STAR certified refrigerators.